A Stroud-based football facility is receiving support from Bovis Homes for the third consecutive year, helping it to continue to provide sporting resources for people across the region. Inside Football was launched in January 2014, bringing a much-needed all-weather sporting facility to the area, and since its formation the homebuilder has been one of its key sponsors. Bovis Homes is currently building new homes at nearby Coopers Edge and the funding they have provided will help to ensure that the Inside Football facility, which comprises of three indoor football pitches, can continue to remain in operation and help to promote sport in the Stroud area. In addition to this, it also has a multi-use function room with a range of gym equipment for fitness classes and training. And it's not just football at the facility, as it is also regularly used for cheerleading, hockey and rugby. "Local facilities, such as Inside Football, can really boost communities" says Regional Marketing Manager, Sally Smith. "We are delighted to support Inside Football for another year and are proud to be part of such a fantastic facility since its formation. It's been great to see it develop and benefit the area." The 3G Indoor Football arena, which is the largest of its kind in the South West, was set up by Colin Cole, Chief Executive of Lioncourt Homes, with his friends Steve Cowe, ex-Aston Villa and Swindon Town footballer, Mike Stratford and Clive Eckersall, to meet the significant demand for this type of all-weather facility in the area. "As one of the founding members, I feel particularly proud that we have been able to provide this facility not only for use by local footballers in their prime but also by youngsters from the age of three right through to our 'walking football' sessions where we have 70-year-olds reliving their youth!" says Colin. "I am extremely grateful to our sponsors, without whom it would not be possible to provide this wonderful facility. 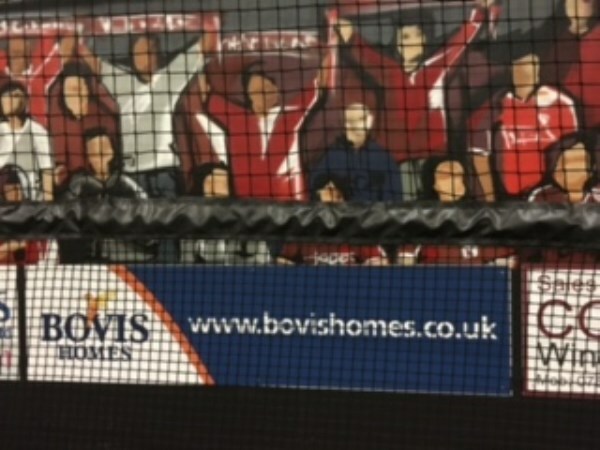 Bovis Homes has been a sponsor since the facility was opened and have become synonymous with everything that is good about Inside Football. We are very thankful for the continued support." Bovis Homes' developments at Coopers Edge, in Brockworth, include Centurion View and Imperial Place, which provide a range of two, three, four and five bedroom houses.